For those familiar with the famous landmark at the United States Military Academy at West Point, "Trophy Point" is synonymous with the word "transition." The physical site hosts a monument dedicated to Union Soldiers who lost their lives in the Civil War and a number of captured artillery trophy pieces from the Revolutionary to the Spanish-American Wars. Trophy Point's significance, however, resides in the fact that it serves as the home to many of the significant events that mark the beginning of a formal transition process. 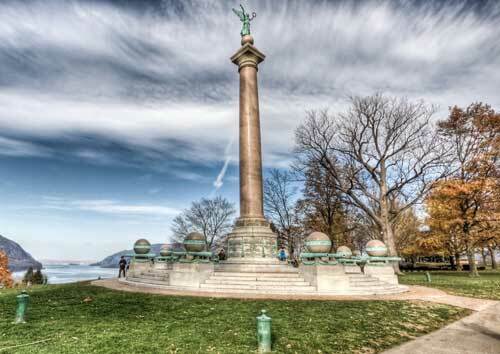 Trophy Point used to serve as the official location for the graduation ceremonies at West Point. Today, its relevance as a site where individuals formally acknowledge their commitment to begin a "transition" from one state to another is alive and well. Upon both entering and exiting the Academy, West Point Candidates and Cadets take the first step in their respective transformations through an affirmation process at Trophy Point that concludes with official oath ceremonies. Candidates acknowledge that they are ready to embark on the four-year journey that will follow as West Point Cadets; Cadets finishing their time at the Academy acknowledge that they are ready to use the lessons learned from their time at West Point as Military Officers in the Active Duty Armed Forces by conducting their 2nd Lieutenant bar-pinning ceremonies at this site. "Transition" is formally defined as "the process of changing from one state or condition to another." This transition begins with a vision and potential. At Trophy Point, our purpose is to ensure that we provide both the right environment and high quality services to ensure that our clients and employees can maximize their potential to achieve their vision. Similar to the physical site, we expect that when you come to Trophy Point, LLC for services or employment, you are affirming your commitment to begin a transformation process with us that will result in you achieving your vision. So, come make the declaration that you are ready to recognize the full potential of your project in pursuit of your vision!